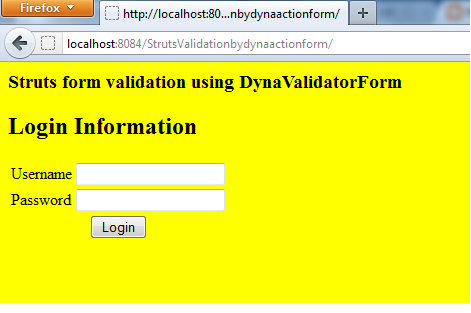 Here we explain how to validate a form using DynaValidatorForm in struts. 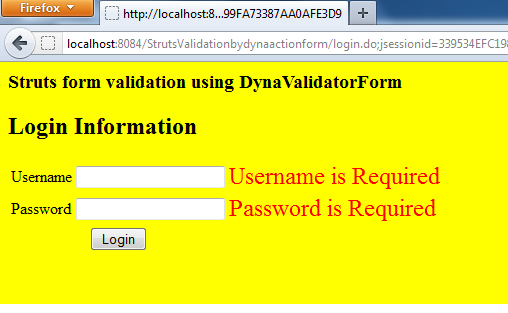 The requirements is very simple we just make a login form with two fields username and password. All field should be mandatory. Minimum length of user name is 6-digits. And minimum length of password no is 5-digits. All these jar and tld files are free available so you can download and copy to all these jar files in your lib and tld in WEB-INF. I hope you will enjoy..... have a good day! The purpose of resource is if u are giving resource is true the mentioned key is taking from resourceBundle. 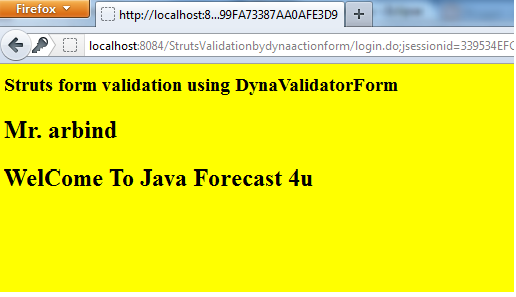 if u are specifying false what ever the value given in key the same value is used to display error message.